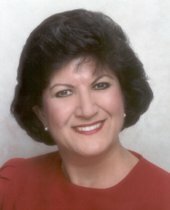 Fleurette Elliott is a licensed REALTOR in South Carolina, specializing in representing residential buyers and sellers throughout Grand Strand, North Myrtle Beach, Myrtle Beach, Surfside Beach, Garden City, Fleurette Elliott Myrtle Beach Real Estate Agent Murrells Inlet, Carolina Forest and Conway. A consistent high producer which contributes her success in real estate to the following: A dedication to on going continuous education, attempting numerous courses to keep up with changing real estate laws and practices and to get updated on new tools and programs available to clients. Fleurette has a commitment to strong work ethics that focuses on clients needs on on-going communication, continual follow-up and dedication to high standards in all facets of her life to be the "BEST". Fleurette attended school and College in London, England and has lived in Surfside Beach for 33 years. Fleurette has won numerous awards based on sales volume. She donates a percentage of her closings to Children's Miracle Network during closings on behalf of her clients. Listing courtesy of RE/MAX Ocean Forest , Fleurette Elliott.